GS Yuasa Corporation (Tokyo Stock Exchange: 6674; “GS Yuasa”) today announced that space use lithium-ion batteries manufactured by group company GS Yuasa Technology Ltd. (“GYT”) have been installed in the “Greenhouse Gases Observation Satellite-2” (GOSAT-2) produced by Mitsubishi Electric Corporation (Tokyo Stock Exchange: 6503; “Mitsubishi Electric”). The satellite, which has been dubbed “Ibuki-2”, is scheduled to be launched on October 29, 2018, from the Tanegashima Space Center of the Japan Aerospace Exploration Agency (“JAXA”). Following in-orbit testing conducted in the early 2000s, GYT’s space use lithium-ion batteries have been installed in more than 150 domestic and overseas spacecraft. The batteries were selected for use in Ibuki-2 in recognition of this proven track record. Ibuki-2 will be used to continue the mission of its predecessor, “Ibuki” (GOSAT), which was launched in 2009 as part of a joint project between Japan’s Ministry of the Environment, the National Institute for Environmental Studies, and JAXA. 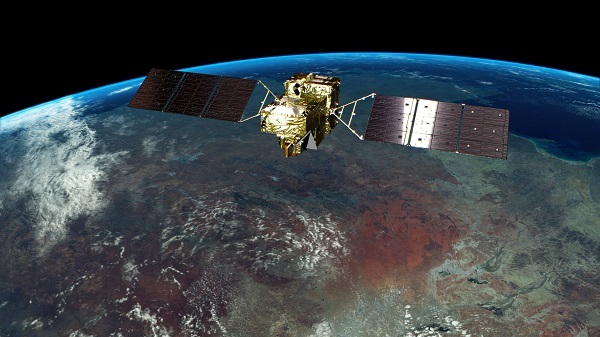 Ibuki-2 has been fitted with more highly advanced observation sensors with the aim of enhancing the precision with which greenhouse gases can be observed. A succession of satellites have been developed and launched by countries around the world to measure greenhouse gases and GYT’s batteries are now set to also make a contribution to the Ibuki-2 project’s international global warming prevention-related efforts. GYT develops, manufactures and distributes batteries and power sources for special applications and has been supplying high-performance, high-quality batteries for special land, sea, and air environments (from depths of 6,500 meters below the ocean surface to 36,000 kilometers high in space). 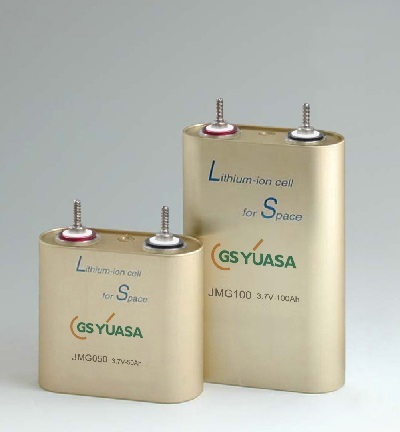 The GS Yuasa Group intends to continue to contribute to space development projects through the development and manufacture of high-performance lithium-ion batteries. *2 Height (H) excludes stud bolts. ■2. The “JMG100” lithium-ion battery installed in “Ibuki-2” (right-hand side).